So we've Naruto there and he is daydreaming about his parents... Every kid like Naruto daydreams about their parents and whatnot (not me but some does). So this wallpaper is basically about a kid who has never really met his parents and daydreaming about them. And plugin (fractalius plugin) and burn tool as a final touch. Have any questions then please just ask. Kushina's so beautiful :3 ! Beautiful wallpaper ^_^ my new wall now. Excellent ! thank you so much for this wallpaper. 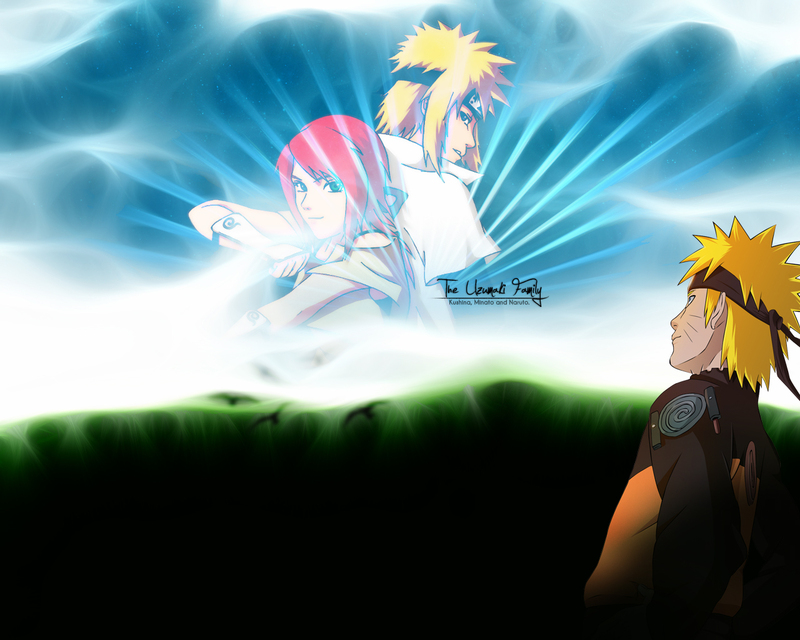 I loved it when Kushina was revealed as Naruto's Kaa-san it was funny , but also heart warming , Naruto's parents rule !